If you were at Wonderwool Wales last weekend, you may have spotted a brand new book from popular designer Jane Burns. Sadly I couldn't make it to the festival, as Little Miss was celebrating her seventh birthday (with a sleepover party), but Jane kindly sent me a copy to review. As always, all opinions are my own and unbiased. 'Lazy Sunday Knitted Socks' is a book of five indulgent top-down sock patterns. What are 'indulgent' socks? 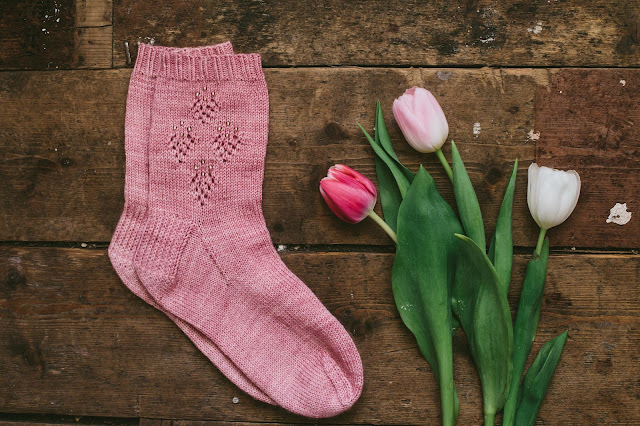 Well, they are all made from luxurious yarns (think Eden Cottage Yarns, cashmere, silk and merino in muted semi-solids) and as the name suggests, Jane has designed them to be enjoyed with your feet up, on a lazy Sunday. 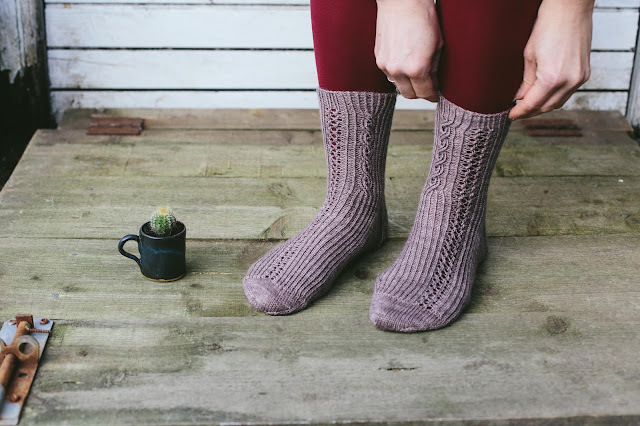 This is also the mood that Kat Goldin has created in her photography and if you're familiar with Kat's style from her personal blog or The Crochet Project, you'll have guessed that the book is as pretty as the socks! The patterns include different techniques from simple eyelets to cables and twisted stitches, and all use beads to highlight different design elements to great effect (and add to what I think of as 'the indulgence-factor'). If you're new to beads, don't worry - Jane provides full instructions on how to add them with a crochet hook (so there's no pre-threading) and it looks really easy! I'm not normally one for 'bling', but the beading here is very subtle and attractive so I'll admit a few pairs are tempting this toe-up sock-knitter to give them a try. 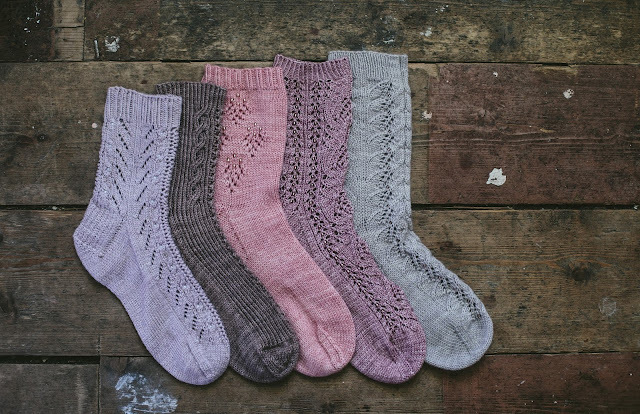 'Drift Away' is particularly interesting to me - combining what I'd normally think of as quite masculine grooves and cables and feminine lace and beads - all in a single sock - gorgeous! The socks come with four to six different size options so you can get a really great fit, and instructions are provided on how to take your measurements. Patterns are both written and charted and presented in a clear layout, which is easy to follow, even if you're new to knitting socks. The book includes detailed descriptions of the essential techniques (casting on, beading and grafting) and there is additional support on Jane's online 'hub' for those who need more help or a quick refresher. Two versions are available - you can get a hard copy of the book for £11.50 or if you prefer an ebook, they are £9 via Ravelry and this is the link you need to add it to your cart. One lucky reader can get a free copy of the book sent to them, simply by leaving a comment on this post with the name of the design you'd knit first - find the full list here. Be sure to leave your Ravelry name or another method of contacting you if you're randomly selected on (Lazy) Sunday 8th May. The competition is now closed and the winner has been sent a message! 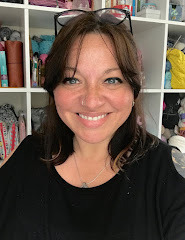 You can find Jane's website here, and follow her on Twitter, Facebook and Instagram as @knittingimage. You can also find more designs by Jane on Ravelry. I'll be back tomorrow with the second motif for the Last Dance on the Beach CAL - see you then! A friend bought this book at Wonderwool! It's on my hit list for sure; No Room For Ravers is my fave! 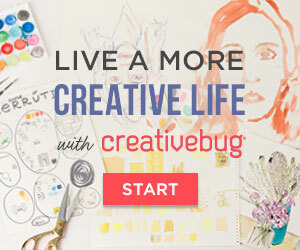 I'm Craftylittlerat on Rav. Woah beautiful socks <3 Makes me want to take up sock knitting again!! I think I would try Sitting in a Rainbow first. Loop60 on Ravelry. Thank you for this. No room for ravers is my favourite. I think I would Drift Away first but I love all the socks. It would have to be No Room for Ravers -they're soooo feminine and detailed! I'm with you - Drift Away would be my first choice. I love the song she themed these around, and the socks are gorgeous. I'd definitely knit 'no need to worry' as I've spent all week doing the exact opposite in a hospital! I'd love to use up my Lorna's Laces dusky rose on those - stunning!